The Joe Balander Learning Center is a 4 hole short course designed by Randy Russell and located at the Clay/Kizer golf complex. The practice facility features four par 3s with rolling terrain and various elevations including a practice bunker and practice putting green. The Balander short course offers a place for golfers of all skill levels to perfect their game and was conceptualized by its namesake, Joe Balander. During his 34 years working with the golfers of Austin, Joe Balander is remembered for his contributions to the golf community. Joe began working in the golf industry in 1963 at Lions Municipal Golf Course. In 1974 the Jimmy Clay Golf Course opened and Joe was selected by the City Coun cil as the Head Golf Professional. Joe assisted in the construction of the Roy Kizer Golf Course, which opened in 1994 and continued to manage both golf courses until his retirement in 1997. He was truly “Everyone’s Golf Professional.” Perhaps his greatest contribution was his dedication to the junior golfers in Austin and was one of the founding fathers of the Austin Junior Golf Academy. Joe was a pioneer of women’s golf programs in the Austin area. He organized the girls division of the Austin City Junior Golf Championships and created the first tournament series for girls in Austin. The City Junior Girl’s Championship Trophy currently bears his name. Joe also worked to strengthen the golf community of Austin and taught countless lessons to new golfers. He created the Jimmy Clay Women’s Golf Association. He was honored with life time membership to the Pan American Golf Association for his support of their program. He helped create the River City Golf Association for weekend golfers looking for friendly competition. There is not an aspect of Austin Municipal Golf that does not have the fingerprints of Joe Balander’s efforts. He leaves behind a legacy of students, golf professionals and friends. 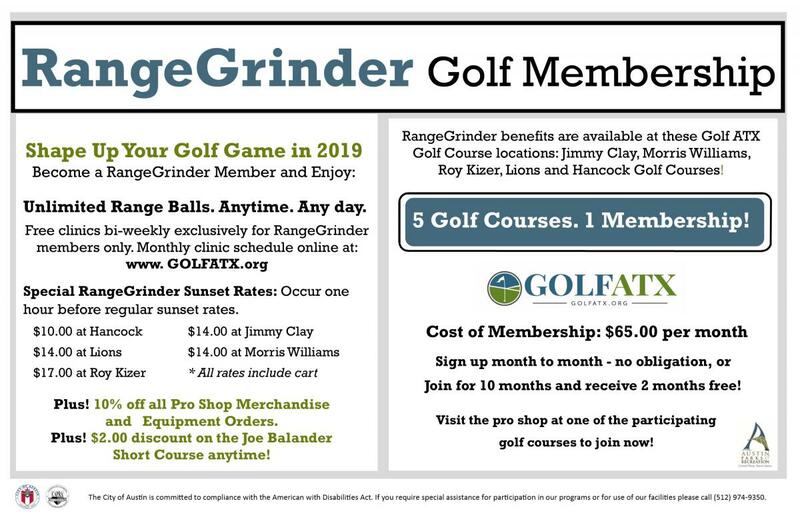 The learning center at Jimmy Clay/Roy Kizer Golf Course stands for everything this fine gentleman spent 30 years creating, an affordable facility to teach the “game of a lifetime.” Joe passed away in 2005 and is sorely missed by the golfing community. Balander short course fees are $5 for adults and $3 for juniors.